One of my absolute favourite parts of the Fiasco RPG is the playsets where you set up the game. Based on those playsets, I put together one that we use when creating new characters for our D&D campaigns which I then revise for each campaign we start. We start session zero with a playset and a stack of d6. The number of d6 is based on the number of players and how many attachments will be on each relationship. The traditional method is that each player sets up a relationship with the PC to the right and left of them, as well as either one Need / Desire or one Place / Person attached to that relationship. For our most recent campaign setup, we tried making it so each relationship has both a need and a place. For one attachment per relationship, roll 4d6 for each player in the session. For two attachments per relationship, roll 6d6 for each player. Since we were running with 5 players last night, 30d6 were rolled. Each player in turn picks a single d6 result and transfers it to any relationship, need, or place card – if the card has no die on it, it determines the category (so for relationship, a 3 placed on a relationship card would indicate that the relationship is one of fellowship), and if it does already have a die on it, it determines the specifics of that relationship (so if another player puts a 4 on the fellowship relationship, then both characters are members of a guild). Like in Fiasco proper, the very last die placed is a wild card – so the last player to place a die can ignore the number on the die and pick any number they like. The result is that each character will have relationships with two other characters in the group that will in turn help hold the group together. In the photo above we have both of James’ characters relationships mapped out – one with Josee’s character (Brothers in Arms with the goal of earning respect through violence who have a common location of the Old Hangman’s Coaching Inn) and one with Lorne’s character (Partners in Crime with a goal of getting rich enough to pay for … something and a common location of the Groggy Troll Tavern). In the case of the “Rich enough to pay for…” entry, it is up to the players to establish what they are trying to pay for. You can download the three-page PDF of this version of the Totally Not a D&D Fiasco by clicking here or on the thumbnail above. That guy who draws all those maps at Dyson's Dodecahedron. Old School. This is pretty cool. Has been a long time since playing RPG but they are still of interest. Nice. I have always loved Fiasco since I started reading and playing it. But it’s also the game that most of my OSR friends give me the strangest looks over. 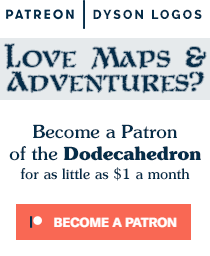 Enter your email address to subscribe to the Dodecahedron and receive notifications of new posts by email.